Our company manufactures and supply an exclusive range of Aluminum ROPP Cap, which is extremely demanded in varied production industries of beverages and food. 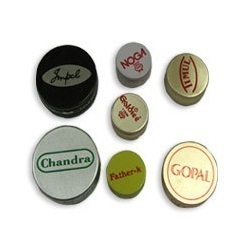 We offer these Roll on Pilfer Proof Cap in different sizes such as 25mm, 28 mm, 29/35 mm, 31.5 mm, 38 mm, 46 mm and 53 mm. 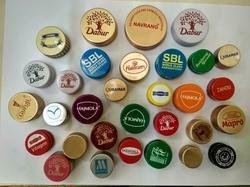 Our clients can also avail these caps from us as per their requirements. Our products are appreciated for its leak proof capacity. Dimensions 25mm ROPP cap with height 16.7mm, Cap thickness 0.18-0.20mm, EPE wad thickness 1.6-1.8mm . available in sizes of 22mm, 25mm, 28mm, 31.5mm, 38mm & 38mm Semideep, 46mm, 53mm ROPP cap.